Jack P. Kennedy, 83, of the Town of Lewiston, passed away on Wednesday, July 4, 2018. Mr. Kennedy was born on September 14, 1934 in Niagara Falls, NY, where he resided his entire life. Jack attended local schools and graduated from the former Trott Vocational High School. On October 5, 1951, he enlisted in the United States Marine Corps, serving in combat, during the Korean War. 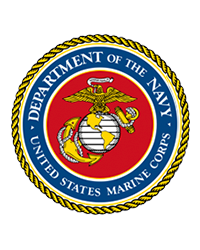 In 1953, Jack was promoted to Corporal and was honorably discharged on October 4, 1954. On October 5, 1957 Mr. Kennedy married the former Joan Thweatt. She predeceased him on July 15, 2017. Jack retired as an electrician from the IBEW Local #237. He was a congregant of St. James United Methodist Church and a member of the Buff Social Club and Elks Club. Mr. Kennedy is survived by children, Gary Kennedy, Stephen (Elaine) Kennedy, Mark Kennedy and Jacalyn (David) Kelly; eight grandchildren; one step-granddaughter; seven great-grandchildren; four step-great-grandchildren and several nieces, nephews and cousins. In addition to his parents and spouse, Jack was predeceased by his three brothers, Roy, Gordon and James. Family and friends are invited to attend a funeral service, concluding with Military Honors, on Tuesday, July 10th at 11:00 in the Chapel of the funeral home. Arrangements are under the direction of Michael R. Goodlander of OTTO REDANZ FUNERAL HOME, 2215 MILITARY ROAD, NIAGARA FALLS, NY. Please visit www.goodlandercares.com for online condolences.